Contact Our Boston, MA Truck Accident Lawyer Experts Today at 617-787-3700 if You Have Been Injured in a Massachusetts Truck Accident. 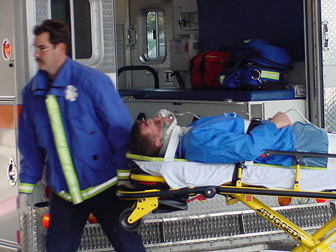 Our Massachusetts Trucking Accident Personal Injury Attorney Specialists Are Here to Help You! Our team of expert and highly skilled Boston, MA truck accident lawyers and Boston, MA truck accident wrongful death lawyer specialists will help you deal with the difficulties and other issues that follow a major Massachusetts truck accident. Our Boston tractor trailer accident attorneys will fight hard for you to get your medical bills paid, replace your past and future lost earnings and compensate you for your pain and suffering resulting from your Massachusetts truck accident. Our Boston, Massachusetts personal injury attorneys charge you no attorney’s fees or expenses unless and until we recover fair and just money damages for you and your family members. 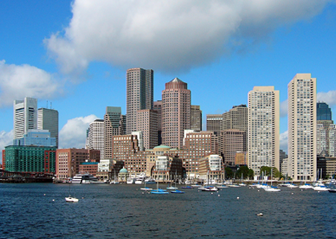 Our Boston, MA Truck Accident Lawyer Specialists Are Available 24/7. Call Our Massachusetts Trucking Accident Personal Injury Attorney Experts Today at 617-787-3700! Larger trucks are often harder to control because of their size and because they have much longer stopping distances than other smaller motor vehicles. In addition, large blind spots and the necessity to make wide turns only increases the risk of Massachusetts truck accidents. Due to the massive size of tractor trailers and other trucks, serious and often catastrophic injuries are more likely to occur to drivers and passengers of the smaller car. Many different parties may be liable for your personal injuries sustained during a Massachusetts truck accident. 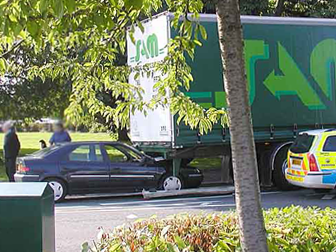 Truck drivers may certainly be held liable for their negligent actions which have caused injury. Employers are also vicariously liable for the negligence of their employee truck drivers. Employers may be liable as well if they hired a truck driver and failed to provide adequate training, or if they hired an incompetent or unqualified driver, if they knew or had reason to know of the driver’s incompetence. Other parties may also be liable for injuries caused in a Massachusetts trucking accident, including individuals who improperly loaded the truck which later caused injuries, if the injuries were causally connected to the improper loading. In addition, manufacturers may be held liable for truck accident injuries if they negligently manufactured component parts which caused injury. 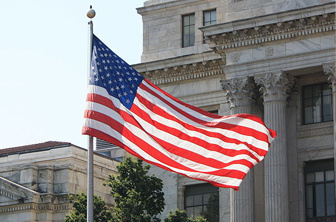 The Federal Motor Carrier Safety Administration (FMCSA) regulates truck drivers who transport materials between states. Commercial trucks and other large trucks over 10,000 pounds must adhere to the safety regulations and other regulations established by the FMCSA. Safety ratings: Tractor trailers and other large trucks all have different safety ratings determined by specific procedures. Truck drivers are responsible for complying with such ratings, and correcting any unsafe conditions. Hiring procedures: Truck companies must comply with federal regulations regarding the minimum truck driver qualifications necessary for employment. If they fail to do so, they can be held liable for injuries arising out of a Massachusetts trucking accident. Employers may also be held liable for negligent hiring practices if, for example, they hire a truck driver with a previous history of a poor driving record, a criminal record, or a history of drug or alcohol abuse. Insurance: Due to the elevated risk for catastrophic injuries or fatalities in a truck crash, the minimum insurance coverage required for tractor trailers and other large trucks is much higher than that for small passenger motor vehicles. Truck drivers engaging in commerce between states must carry a minimum of $750,000 in liability insurance, and may sometimes be required to have more insurance if the truck is carrying hazardous materials. Inspection and maintenance: Interstate trucking regulations establish specific requirements for inspections and truck maintenance. These regulations state which parts of a truck require more frequent inspection and define the number of miles that can be driven between each inspection. Operation guidelines: Truck drivers are required to comply with strict guidelines regarding the operation of large trucks. These guidelines specify: how loads should be secured during travel; the inspection requirements regarding loads; and, the number of hours a driver may spend driving without rest, and the minimum length of rest periods. Unfortunately, because of the pressing demand for speedy delivery, truck drivers have been known to alter their drive logs, which can have devastating consequences. Vicarious liability for truck drivers: In the past, employers of truck drivers who negligently caused injury to a Massachusetts resident attempted to avoid liability by claiming that the truck driver was an independent contractor, rather than an employee. Employers of truck drivers thus maintained that they were not responsible for injuries caused by their truck drivers. However, the FMCSA has since eliminated any distinction between truck drivers who are classified as employees and drivers who are classified as independent contractors. As a result, employers are now responsible for the negligent actions of their truck drivers. At the Boston, MA Law Offices of Gilbert R. Hoy, Jr. and Affiliates, our highly skilled and expert Boston truck accident injury lawyers fight hard to hold truckers and trucking companies liable for the personal injuries they cause by their negligent or reckless driving. 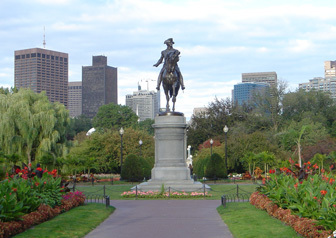 The Massachusetts personal injury lawyers at our Boston, MA law office are nationally recognized experts. If you have been injured by the carelessness of a Massachusetts truck driver, please contact our Boston truck accident lawyers today by calling 617-787-3700 or email us at info@gilhoylaw.com. Our Massachusetts trucking accident lawyers and Boston truck accident personal injury attorneys have extensive experience and skill in protecting the rights and interests of those injured in all types of Massachusetts tractor-trailer accidents, as well as a history of obtaining successful settlements for our Massachusetts truck accident clients. Our Boston, MA personal injury attorneys are some of the very best personal injury lawyers in the Commonwealth of Massachusetts. Our Boston Truck Accident Attorneys Are Here To Help You With Your Massachusetts Truck Accident Claim. If you have been injured or a loved one has been killed in a Massachusetts truck accident, please contact our Boston law office for legal assistance as soon as possible. Our Boston truck accident personal injury lawyers and Boston truck accident wrongful death attorneys will investigate whether the trucking company, the truck driver, or the trailer owner is responsible for causing the accident. If so, we will seek compensation for your past and future medical expenses, your past and future wages, your pain and suffering, your disability and your other damages. Call our Boston truck accident injury lawyers today at 617-787-3700 or email us at info@gilhoylaw.com. 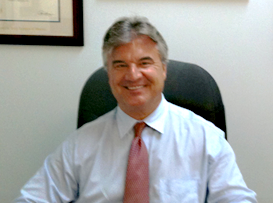 We Are An Experienced Team of Boston Truck Accident Lawyers and Boston Wrongful Death Lawyers. At the Boston, MA Law Offices of Gilbert R. Hoy, Jr. and Affiliates, our Boston lawyers are experienced in helping truck accident victims. Our Boston, MA truck accident attorneys also represent family members in Massachusetts wrongful death cases. 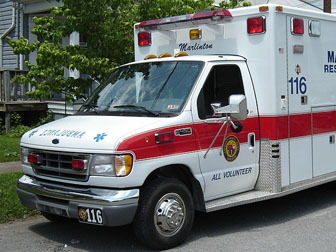 Our Massachusetts personal injury truck accident lawyers will aggressively represent you to see that you are compensated for the injuries you have suffered. In addition to representing you in your Massachusetts injury claim, our Boston, Massachusetts truck accident attorneys will also work with your Massachusetts insurance company to ensure that you receive fair treatment regarding your Massachusetts property damage claim. 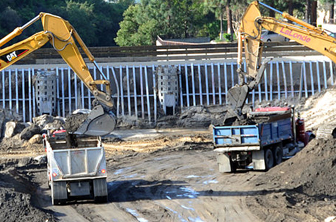 These claims could be significant in any accident involving a large commercial truck. In addition, we do not charge a fee in helping you get just compensation on your property damage claim. Our Boston truck accident personal injury lawyers and Boston, Mass truck accident wrongful death lawyers will provide you with a free initial consultation about your Massachusetts truck accident. 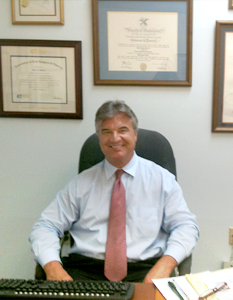 We can meet with you in our office, at the hospital or in the privacy of your home. Our Massachusetts truck accident personal injury lawyers and Massachusetts truck accident wrongful death injury attorneys are proud to represent Massachusetts truck accident personal injury clients from throughout the Commonwealth. The Boston, MA Law Offices of Gilbert R. Hoy, Jr. and Affiliates is a team of Boston, MA lawyers from some of the best law offices in Massachusetts, including expert Massachusetts truck accident personal injury lawyers and expert Boston, MA truck accident wrongful death personal injury lawyers, who have been personally selected by Attorney Hoy because of their skill, experience and expertise. Many of the Boston, MA truck accident lawyers who are available to our Massachusetts clients through referral agreements have been repeatedly selected and recognized as among the very best truck accident personal injury lawyers in Massachusetts and, indeed, the country. If you or a loved one has been injured or killed as the result of a Massachusetts truck accident, the best thing that you can do is to hire one of our highly skilled Boston, MA truck accident lawyer professionals. If you select one of the knowledgeable and expert Massachusetts trucking accident personal injury attorney specialists at the Boston Law Offices of Gilbert R. Hoy, Jr. and Affiliates to represent you or your loved one, you can be assured that your needs will be our top priority. The Massachusetts truck accident lawyers at our Boston, MA law firm will use all of their extensive legal expertise and skills to most effectively handle your unique situation. Our Boston truck accident law firm is different from other Massachusetts law firms because our attorneys are more compassionate and caring and will fight tirelessly and skillfully on your behalf at all times. 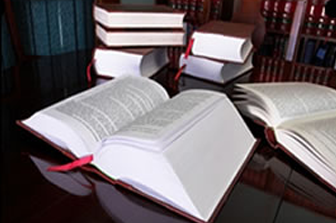 Our Boston, MA truck accident law office has some of the highest quality Massachusetts lawyers available in the state. The Boston, MA truck accident lawyer experts and Boston, MA wrongful death lawyer advocates at our Boston, Massachusetts law office have represented a multitude of Massachusetts truck accident victims and the families of wrongful death victims. If you or a loved one has suffered personal injury damages or wrongful death damages as the result of a Massachusetts trucking accident, please contact our highly experienced and seasoned Boston, MA truck accident lawyer advocates and Massachusetts wrongful death attorney professionals as soon as possible at 617-787-3700 to help you get full and fair compensation for your Massachusetts accident injuries. With an experienced group of some of the very best Massachusetts truck accident lawyers that the Commonwealth offers, our Boston truck accident law office is confident that our handling of your truck accident claim will go beyond your expectations. Our over-riding goal is to provide you or your loved one with top of the line legal service and assistance with respect to your Massachusetts truck accident, while earning your confidence, loyalty, trust and respect. Our Boston, MA truck accident law office would be honored and pleased to represent you or your loved one, and we would be delighted to provide you with an initial free and confidential consultation with respect to your Massachusetts truck accident claim. 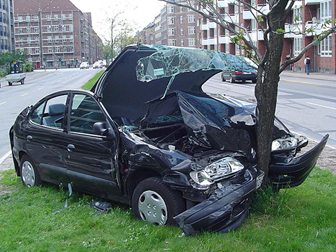 Our Boston, MA Truck Accident Lawyer Specialists Are Experts in the Field. 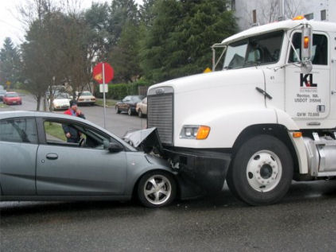 Our Massachusetts Trucking Accident Personal Injury Attorney Advocates Are Here to Help You!